A view west along the cliffs of the Oa from near Beinn Mhor. Sgeirean Buidhe with Dun Athad in the centre, behind it the Mull of Oa with the American Monument on top. In the far distance on the right you can also make out the Rhinns of Islay. 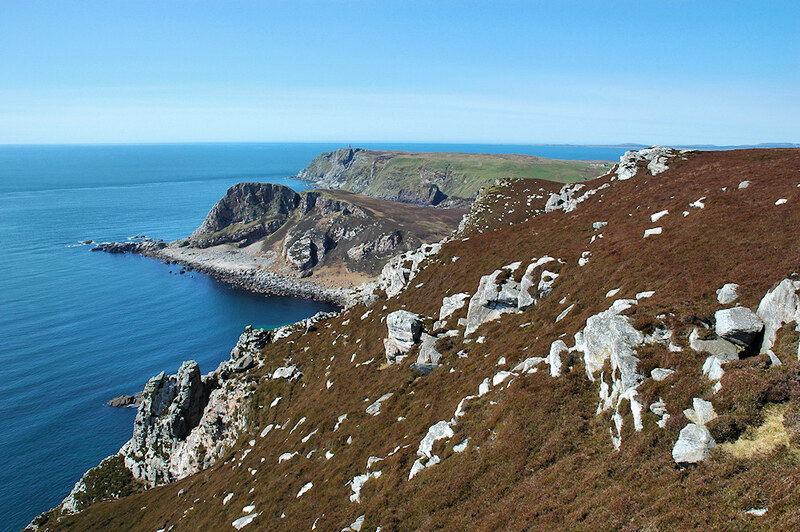 This entry was posted in Landscape, Repost, Sunny Weather and tagged American Monument, Dun Athad, Islay, Mull of Oa, Sgeirean Buidhe, The Oa by Armin Grewe. Bookmark the permalink. You are a lucky person, being able to spend a lot of time around Islay. Thank you Stuart, yes, I count myself very lucky for being able to spend a lot of time on Islay. I hope with these pictures I can share a bit of it.